The Two Stroke Boost EQ is our take on the essential ‘clean boost’ pedal, but with even more versatility. Combining an active dual-parametric EQ and up to 12dB of output boost, the Two Stroke is the perfect tool for fine-tuning your sound or pushing your amp’s front end with unsurpassed control. Subtle Two Stroke tweaks can add an extra dimension to solos, whilst more aggressive use of the pedal’s EQ can sculpt entirely new sounds. Use the Two Stroke to add an extra channel to your amplifier or re-voice your guitar’s pickups completely. Crank the high mids to jump through the mix, cut the low end to remove the woolliness that normally occurs with traditional boost pedals, or leave the EQ flat to hear more of what you already like. 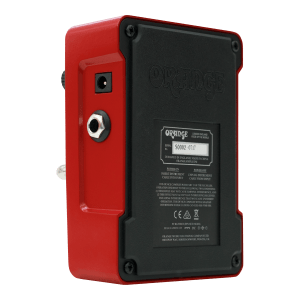 However you set it, thanks to the pedal’s charge pump circuit (which doubles the internal voltage and massively increases the headroom), the Two Stroke works brilliantly placed before or after other pedals, or even in your effects loop. 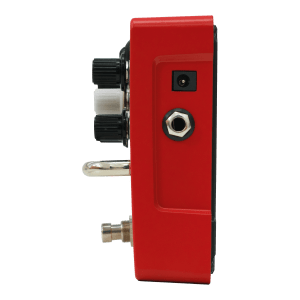 It’s also suitable for bass and acoustic guitars as a practical tool to remove unwanted ‘honk’ or feedback, making this pedal a valuable addition to any musician’s setup. 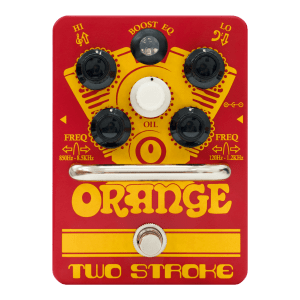 If you’ve flirted with EQ pedals before but been immediately put off by excessive noise and underwhelming results, the awesome Two Stroke Boost EQ may just change your mind. The Two Stroke’s Oil knob controls the level of clean boost by up to 12dB – plenty to saturate your amp’s front end. What’s more, the pedal’s internal charge pump means the gain is genuinely clean. On many other pedals of this type, ‘unity gain’ is normally found at between 9-12 o’clock on the output level control, meaning much of the travel of the pot is actually wasted. Unity gain on the Two Stroke is at the Oil control’s minimum setting, allowing for more control across its range. If you just want to hear the effect of the pedal’s EQ, set the Oil to zero. Simple. Parametric EQ has many advantages over a traditional tone stack, or even a graphic equaliser. With no pre-defined frequencies, parametric allows for seamless control over your tone without complex sliders that can actually limit tonal flexibility and sound over-dramatic and unnatural. The Two Stroke features dual independent parametric bands, Hi (850Hz – 8.2kHz) and Lo (120Hz – 1.2kHz), which cover a wide and usable range. Each band has a finely tuned Q curve along with up to 18dB of cut or boost, meaning the Two Stroke is capable of shaping an infinite number of sounds with a smoothness that is lacking in most graphic EQs. With the Hi and Lo controls set to noon, the frequency response is totally neutral when all you need is a completely transparent boost. 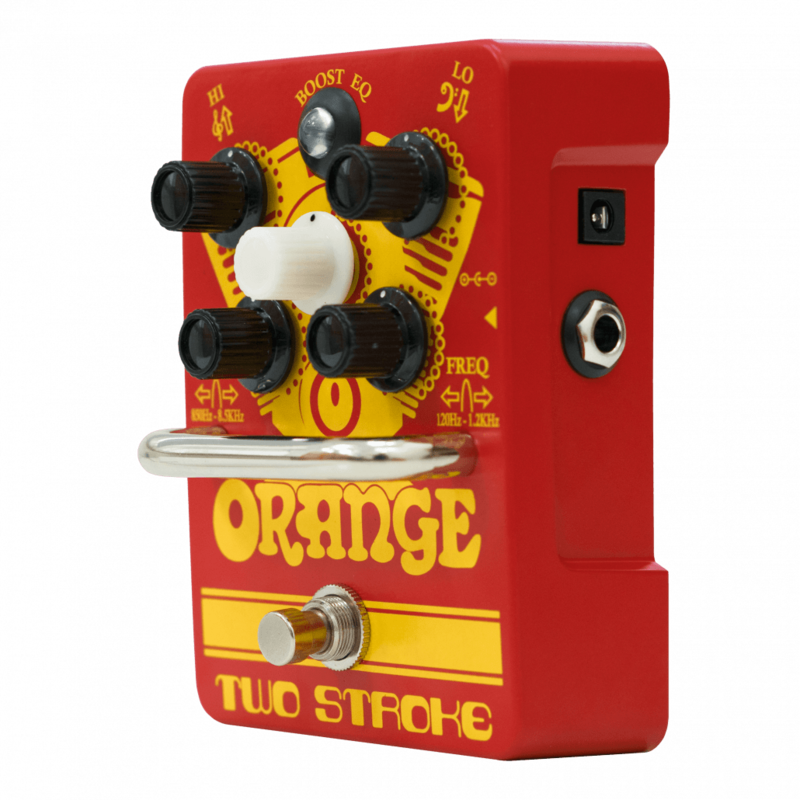 Like all Orange pedals, the Two Stoke features an internal charge pump which doubles the operating voltage to 18V. This has the effect of drastically increasing the headroom of the pedal whilst lowering the noise floor of the EQ. The result: the cleans are clearer and the tone circuit is significantly quieter than a regular 9V pedal. 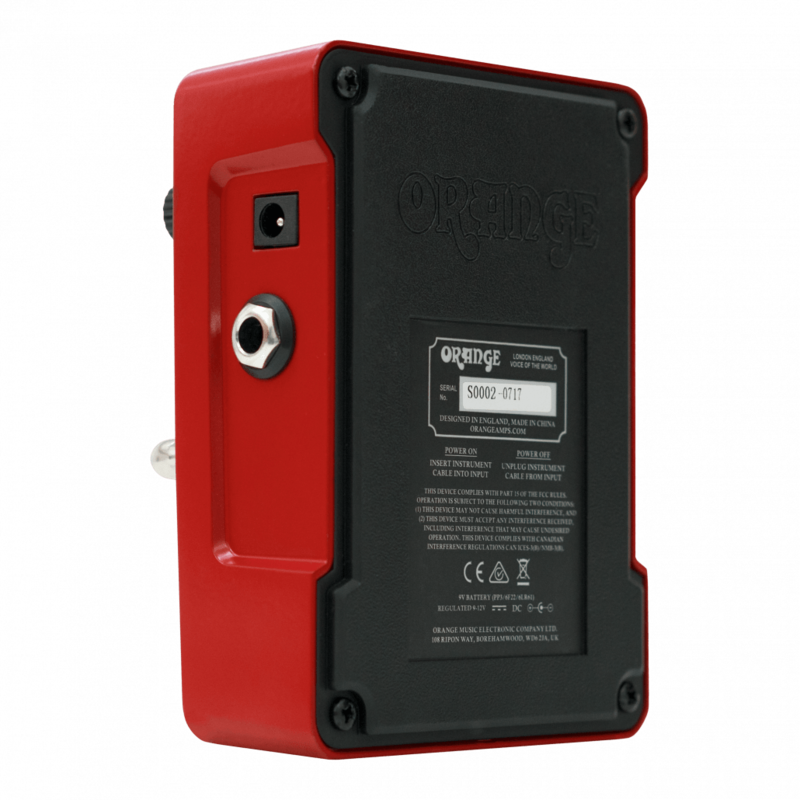 Plus it’ll take a hot signal without floundering, meaning the Two Stroke stacks really well with overdrive and distortion pedals. The Two Stroke can be powered by 9V battery or standard DC adapter, or for even more output can also run on 12V DC. Whilst ‘true bypass’ switching is well intentioned, many players are now realising the importance of a high quality buffer in their signal chain in order to maintain tonal integrity. 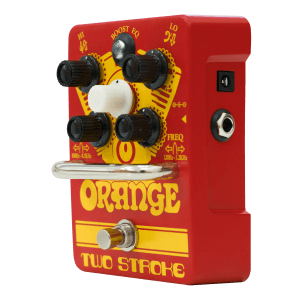 The Two Stroke’s buffered bypass takes care of this with its ultra-linear, low impedance buffered bypass switching, retaining your guitar’s upper harmonic content even with long cable runs and large pedal boards. It also eliminates the problem of switching ‘thump’ common to true-bypass pedals, so you can step on the Two Stroke with confidence. It’s sometimes hard to get excited about clean boost EQ pedals. We just made it easier. 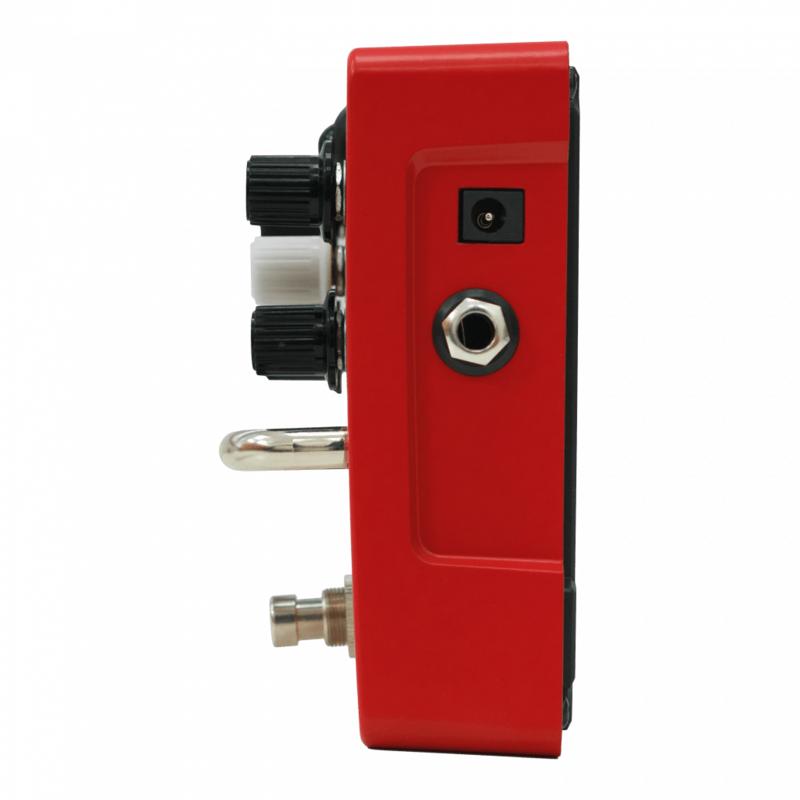 This multi-functional pedal should be on your board! Moe ‘Utilitarian’ than it looks, the Two Stroke is extremely effective as a short cut to extra tonal versatility.